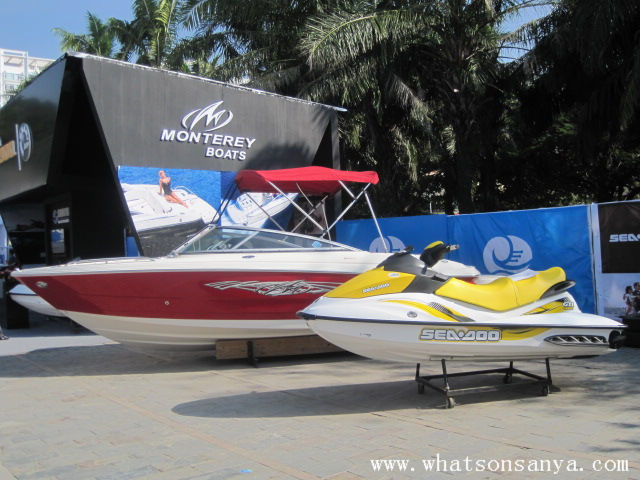 On 17th December, 2010, the 5th Sanya International Yacht Show opened in Dadonghai Square, and will last for 5 days. This show is hosted by the Sanya municipal government and Asian (Hongkong) Marine Culture Co. Ltd. There are more than 30 luxury yachts on display during the show. This year’s yacht show is the biggest-ever in the event’s history, with exhibitors increasing from last year’s 25 to 35, and a 40% increase on the exhibition area. Many famous yacht companies build delicate stands trying to bring people a visual feast. Most of the yachts are on display at the show for the first time, attracting thousands of visitors to watch and take photos. The theme of the International Yacht Show this year is building a platform to promote trade, aiming to provide multiple choices for the consumers from home and abroad. After four years of careful cultivation, a purely market-oriented operation platform for international yachts has been created.